All new members are allocated to an event team (1, 2 or 3). This provides them with a great way to get involved and meet their fellow orienteers straight away, if they so wish. See which team you belong to here. So far this year, the following people have joined the club. ...to the Johnsons of Taunton, Graham, Fiona, Joe, Max and Ned. Impressively, both Graham and Joe have tried out the Blue course. Clearly ones to watch! Mike Laver of Stogursey nr Bridgwater, returning to the sport and the sharp pair of eyes that spotted our recent missing dibber! The Margrett family of Taunton joined. We were glad to see Wendy, Chris, Isla and Freya all featuring at our first league event of the season at Ashley Combe. John Carter of Pitney, who joins us having taken the Light Green course in his stride at our QOFLs at Wind Down and Young Wood last season. Deb and Kev Hazell of Torrington. Deb has been a regular on the Light Green course at QOFLs this season. Daniel Jones who's from near Frome, joining a growing contingent from the eastern fringes of Somerset. Ben Loudon of Bridport, possibly our most south-easterly member. We met Ben at our Ham Hill event last month, when he braved the wind and rain on one of our most technical areas to finish a respectable 4th on the Orange course. Ben has since achieved a respectable score in his first after dark event at Fyne Court. Janet Scott of Wells. Janet tried the Orange course at our league event at Ham Hill. She got round what was quite a tricky course pretty quickly - even if she did omit one of the controls! Thankfully, that didn't put her off because Janet has since attended a JOG session. Molli Riley of Chard. Molli ran at our JOG events at Fyne Court and Lydeard Hill last term. Since then, she paired up to try out the Light Green course at Ham Hill. The Marson family of North Brewham (located to the NW of Cranborne Chase). We met Guy, Samantha, Orla and Esme at JOG last term. Since then, they have had a go at the Green course, at BOK's event in Wells last month and ran at the West Woods south west league event in Wiltshire. 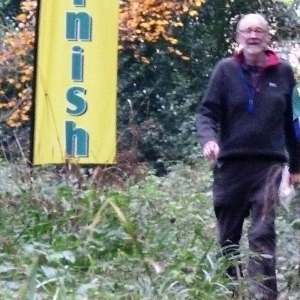 Since then, they've challenged themselves at the South West League event (Galoppen) at West Woods in Wiltshire. We're very glad that so many people decided to join us last year- thank you! If you want to read more about them, please click on the link below. You need to join us if you have had 3 or more runs at our events. After this point, runs will not be covered under British Orienteering's (BOF's) public liability insurance. Regrettably we cannot let uninsured runners take part. All new members are allocated to a team which will help run two events per season - to find out which one, please click here. Helping at our events is a great way of meeting of meeting and catching up with other members.